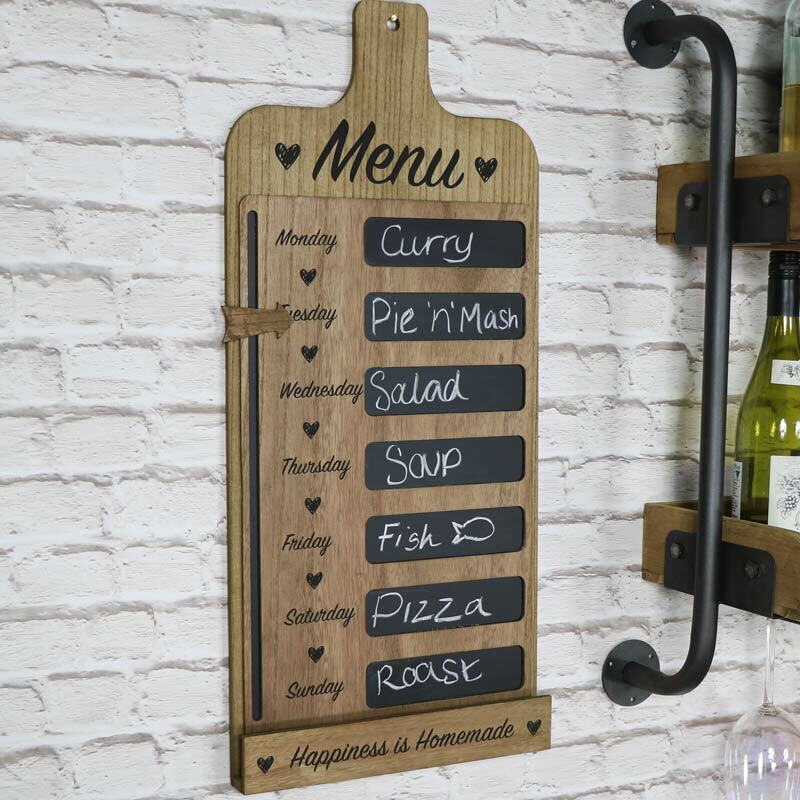 This weekly menu chalkboard is a fantastic way to keep yourself organised and would look great whether in the kitchen or used in a retail environment! 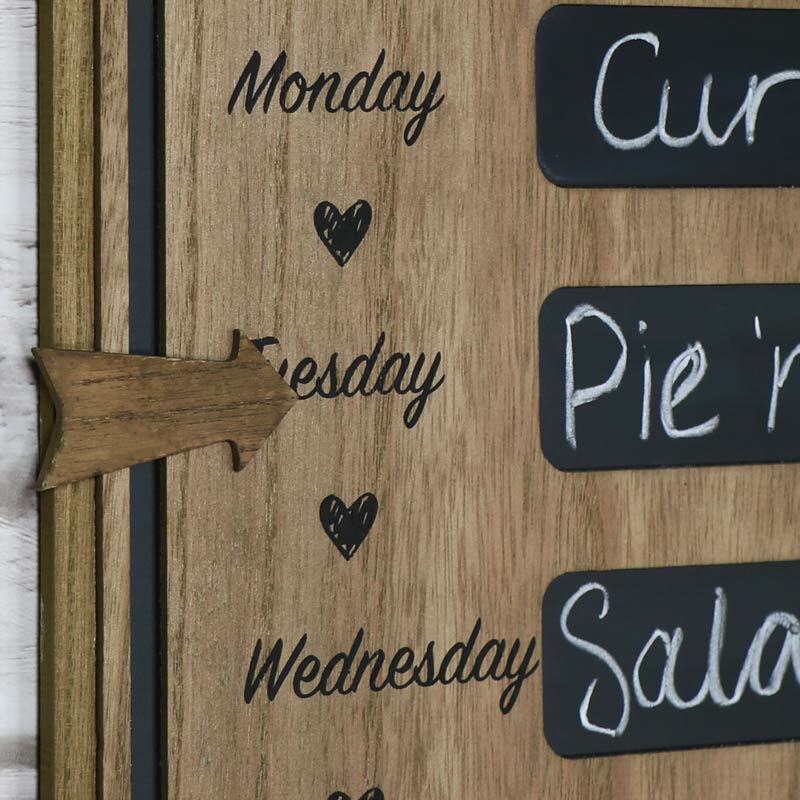 Labelled with days of the week and a little magnetic arrow to point to the relevant day, it’s the perfect way to ensure you have everything you need to meal prep. 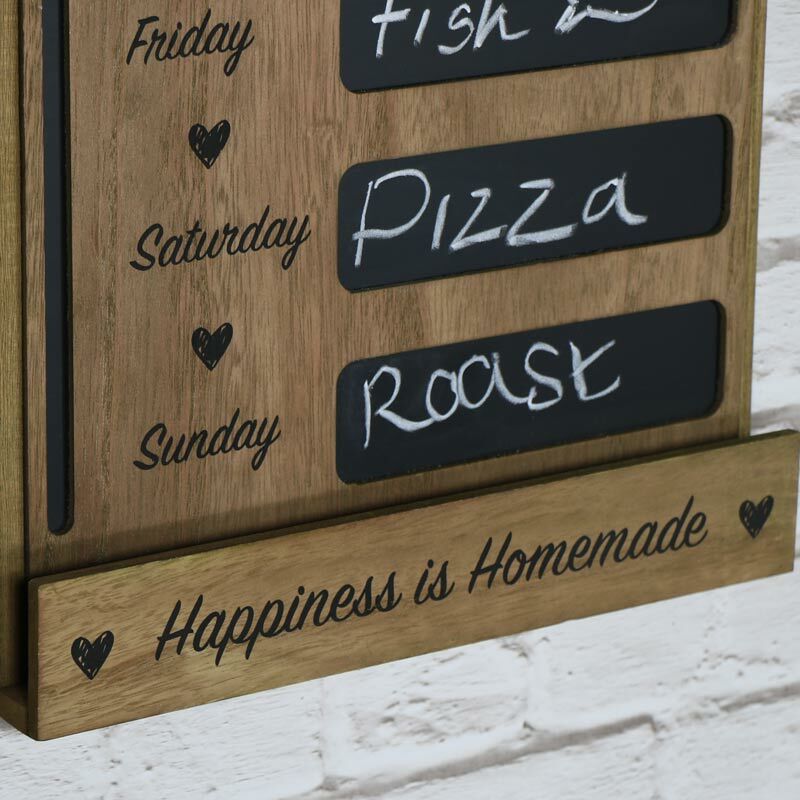 Including a thoughtful quote written across the bottom, “Happiness is Homemade”. This would make a great gift idea for the chef in the family or for those who simply enjoy baking. rustic natural wood frame with black text. In a lightweight design that is easily wall mounted with 2 hooks on the back for hanging. (Please be aware that chalk pens are unsuitable for use with this board and may stain).